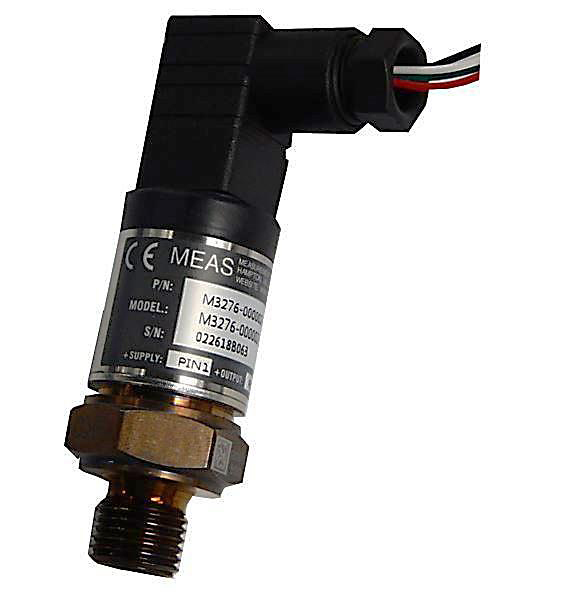 The M3200 pressure transducer from the Microfused line of TE is suitable for measurement of liquid or gas pressure, even for difficult media such as contaminated water, steam, and mildly corrosive fluids. The transducer pressure cavity is machined from a solid piece of 17-4PH stainless steel. The standard version includes a 1/4 NPT pipe thread allowing a leak-proof, all metal sealed system. With excellent durability, there are no O-rings, welds or organics exposed to the pressure media. TE’s proprietary Microfused technology, derived from demanding aerospace applications, employs micromachined silicon piezoresistive strain gages fused with high temperature glass to a stainless-steel diaphragm. This approach achieves media compatibility simply and elegantly while providing an exceptionally stable sensor without the PN junctions of conventional micromachined sensors. This product is geared towards industrial and commercial OEMs for small to high volume applications. 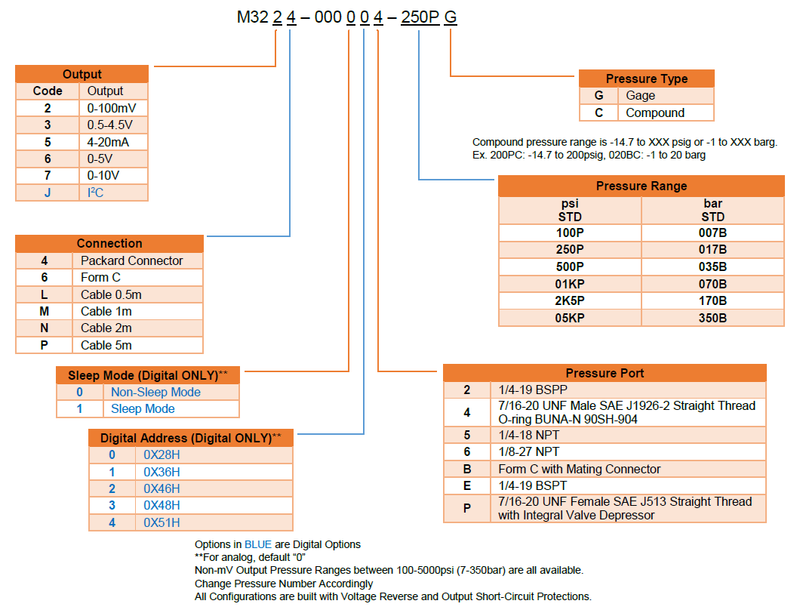 Standard configurations are suitable for many applications. Please contact factory for your customization needs.